Allan Andre is a poet, saxophonist, dancer, and teacher. 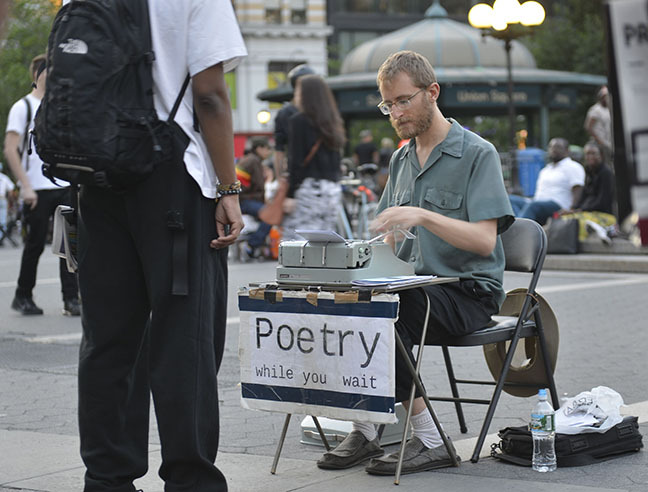 He is often seen at a portable typewriter, improvising poetry in public spaces; he has written over 3,000 poems in major cities across North America. He recently graduated from Naropa University with a degree in music and writing. He now lives in his hometown of New York City with his beloved partner and a very spoiled Chihuahua. His biggest artistic inspirations are Ornette Coleman, John Ashbery, and Kobun Chino Roshi. His website is www.allanandre.net. Allan Andre is a contributor to Nerve Lantern issues 6 & 7.